During Twitter’s fourth-quarter earnings announcement, the company reported troubling user numbers, as well as its agenda for 2016. Twitter revealed startling data on Wednesday:For the fourth quarter of 2015, the social network’s total number of monthly active users remained completely flat, at 320 million. Excluding SMS Fast Followers, who access Twitter solely via text message, the total number of monthly active users actually declined, from 307 million to 305 million. In the United States, the number of active users fell from 66 million to 65 million. This is discouraging news for Twitter, which over the past year has seen major leadership and product changes. On the revenue front, Twitter reported a 48% increase in revenue year-over-year for the fourth quarter of 2015, bringing it to a total of $710 million. Revenue from advertising was $641 million, with data licensing and other revenue totaling $70 million. After the company published its financial results on Wednesday, its stock was down 12%, but rebounded. A letter to shareholders outlined five areas the company plans to focus on in 2016: continued improvements to the core product, including more algorithmically curated timelines; further investment in live-streaming video, including Periscope; better support for creators and influential users; a crackdown on online harassment and threats; and increased investment in developers. 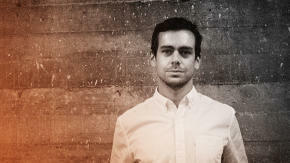 Dorsey said he expected the recent introduction of algorithmic timelines to boost user growth and engagement. According to Twitter, the new timeline format (read more about that here) resulted in higher rates of tweeting, retweeting, direct messages, and replies during testing. “It does improve the experience fundamentally,” Dorsey said. Acknowledging common complaints about the platform, Dorsey said the company’s product team is working to fix certain “broken windows” that make Twitter difficult to use, including how users tag and reply to each other. “We have some really weird rules around conversations, replies and the . @name format, that no one understands. And we need to fix those things,” he said. The shareholder letter emphasized the importance of the live nature of Twitter, and in a call with investors, Dorsey underscored that point. “Hearing about and watching a live event unfold on Twitter is the most powerful way to understand the value of Twitter,” Dorsey said, noting that he expects the U.S. election and the Rio de Janeiro Olympics to drive growth this year. Since Dorsey returned as CEO last year, Twitter has seen a number of high-level departures–in late January, the head of media, head of product, head of Vine, senior VP of engineering, and VP of human resources all left the company. On Wednesday, Twitter announced another change: Kayvon Beykpour, the CEO of Twitter-owned streaming app Periscope, has been added to Twitter’s executive team, a sign of the company’s commitment to making live video central to its business.